The list of films which haven’t been remade gets ever shorter and now Conan the Barbarian gets in on the act, with the popular Robert E. Howard character returning to the screen. John Milius’s 1982 version is what made Arnold Schwarzenegger’s name – so maybe a couple of decades from now, the star of the new one (Jason Momoa) will be elected Governor of California. Rose-tinted spectacles may have clouded some people’s judgement, but actually the fairly lukewarm reaction offered the 2011 version isn’t that different from what greeted its predecessor. Director Marcus Nispel has mostly made horror movies up till now (including the Friday the 13th remake and a couple of Cher music videos). 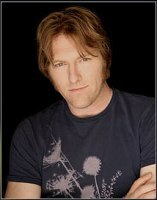 Providing the music this time round is Tyler Bates. The controversy surrounding the score for 300 seems to have been shaken off in terms of the composer’s standing with the studios – no doubt he was only following orders on that one, but the Numemberg Defence isn’t a particularly popular one. While it seemingly hasn’t done much damage to his own career, it might take a little more time (potentially a lot more time) to build bridges to the wider film music community. Scoring a remake of a film which featured a truly beloved score by a truly beloved composer was never likely to build those bridges, but I do wonder if some of the criticism this score has attracted was rather preconceived, because there’s little about it which would warrant it. It’s always important (difficult though it can sometimes be) to throw the preconceptions away as far as possible. This score was never going to sound anything like the one written by Basil Poledouris in 1982, any more than a film made in 1982 would have featured a score which sounded like one Leigh Harline might have written in 1953. Bates’s score for the new Conan is very much in keeping with the traditions of this day which (though it pains me to admit it) is all it ever could have been. It is very much in the Remote Control vein – a smallish orchestra sometimes doubled, almost always accompanied by synths and samples, with plenty of synthetic percussion and guitars – with some specific similarities in approach to Gladiator but more in common generally with more recent scores by Hans Zimmer underlings. The thing is – and this will sound like it’s damning with faint praise, and perhaps it is, but that’s not really the intention – this is lightyears ahead of something like the music from the Clash of the Titans remake. Synthetic they may be, but some of the orchestration is satisfyingly dense and florid – Bates takes the Remote Control style but forces it through a more orchestrally-satisfying mould, much like Brian Tyler does – and the more melodic, softer passages may be relatively sparse but they work very well and help fashion what is, once all prejudices are put to one side, a rather satisfying album. Huh. Better than X-Men: First Class? At least that score had a proper, long-lined theme and the action music didn’t sound like random orchestral flailing with no sense of direction, as it does here. Clash of the Titans was more enjoyable too – at least that was fairly straightforwardly harmonious, which this isn’t. Bates’ Conan does have potential, as I said on Filmtracks, with two generic but listenable themes. Had there been more than five (10 at best) minutes of those themes, I’d be inclined to agree with your rating. However, I can’t bring myself to give it more than **. As for it being better than Thor, well…you lost me on that one. Thor has several very strong themes and the slight (yes, slight) hints of MV/RC don’t harm it one bit IMO. *** ??????? This is the worst score of 2011. He never said it was better than any of those scores, Edmund, i.e., ‘X-Men: First Class’ and ‘Green Lantern,’ although, he arguably implied it. At face value, he said he preferred it over both of those scores, in addition to ‘Thor.’ I’ve said it before and you’ve not heeded me, but I’ll say it again, in the unlikely event that it registers this time: these rants are pointless. They don’t go anywhere. You’re not going to change anyone’s mind, and you’re just elevating your own blood pressure. Let it go. Just stating my opinion, nothing wrong with that – as you yourself have said many a time. (Incidentally, he also “implies” that this score is the equal of Back to the Future and…Titanic 😉 ). A piece of trash in a place where a score should be. Bates’d better be aiming the career of a factory worker or a janitor or something. I do not agree with the 1953 Leigh Harline comparison. Good music is good music, regardless of when it was written. Poledouris’ score for Conan is eternal, it hasn’t aged a bit in the last 30 years, and it will sound just as fresh in 30 years from now as well. Bates’ score, on the other hand, suffers from every modern film scoring illness. I think it’s quite sad that we’ve come to expect less of scores nowadays, and therefore tend to be more forgiving of stuff like that, which in every objective musical parameter is just a synthetic and unmelodic mess. Yeah, I have. But when you basically repeat the same thing, and the progression of a conversation is all but nonexistent, what’s the point? And if that’s not the pot calling the kettle black, I don’t know what is. 😛 But, honestly, it’s like me saying, “Well, I think A is better than B,” and then someone saying, “Well, I think B is better than A.” There’s no development because one side, or both, won’t qualify their statement with something more meaningful or substantial. For the record, you sound like Martha Stewart compared to Rubinstein and Hugo. That kind of narrowmindedness defies belief. For the record I was just being ironic about the fact that James Southall, a real connoisseur of fine action music, calls “exhilarating” a cue like ‘Fever’. If that is all the evidence you need to call me narrow-minded, then you must be pretty confident about ability as a psychic. Guess what, by calling those who don’t like this score ‘narrow-minded’, you’re showing you’re not too shabby yourself in this field. Thanks for the review, James. I for one, appreciate your even-keeled take on this score that seems to have drummed up a lot of venomous hatred. I can’t comment on the value of the score, not having heard it, but I’m glad you didn’t trash it just because it’s Bates. And I loved the Cher sentence. So, by that rationale, a real connoisseur of fine action music can’t find “Fever” exhilirating? That’s not ironic, it’s just demeaning. You’re belittling Southall’s opinion. And for the last flippin’ time, I don’t give two sh*ts if you don’t like the score. You’re entitled to feel that way as a human being. What I *do* give two sh*ts about is the unwarranted deriding of someone’s hard work. Believe it or not, you can easily critique someone’s accomplishment(s) without being mean about it. You didn’t even give the score a chance. You were predisposed to hate it, it seems. So, that, and other instances which I’ve chosen not to cite, make me think you’re not very openminded about music. I vowed I would stop engaging in these arguments. As you were. 1. Gratuitously calling someone narrow-minded is not the behaviour of someone who has vowed not to engage in arguments, buddy. 2. As you’ll notice by looking at my posting history (which you just showed you’re ready to do), I’ve often publicly confessed to respect the hell out of Southall’s reviewing skills and tastes. By disagreeing with him on that point I’m not demeaning him. 3. I’ve often been proven wrong by scores I was predisposed to hate, this is simply not one of those cases. 4. I’d love to hear in what other instances I’ve been narrow-minded, but I don’t wish for this comment area to become flooded, so private e-mail me if you care to substantiate your insult. My apologies to you, Southall, for clogging up your comment area with bickering. I will e-mail you, Hugo. I applaud Southall’s bravery and open mindedness… and although I normally deplore gratuitous WW2 references, I thought that Southall’s “nuremberg defence” analogy was actually a pertinent remark to make in reference to Bates, and his relationship with the real powers that be in movieland. That said, given his history of plagiarism, I think that people had a right to be sceptical of his being chosen to score this film. My own reaction is one of disappointment. Given Bates’ reputation, I expected something monumentally awful… given the material, I wanted something that would be really great… but the end result seemed merely mediocre to me – just your standard, made to order, factory assembly line blockbuster score… it seems that even when Bates isn’t blatantly ripping off other composers, he’s failing to do anything really daring, innovative or groundbreaking. Southall asks what Bates would have to do to redeem himself in the eyes of film score fans – my answer would be that he needs to find his own voice as a composer and do something brilliantly original… because even when he hasn’t been ripping other composers off, his work sounds like leftovers of better musicians and doesn’t break any new ground.